Field Service – Hibbs ElectroMechanical Inc.
Turnkey Equipment Removal and Reinstallation: One of the services that we offer is going to the customer’s site and removing motors. This means we will disconnect all electrical and mechanical connections and on installation reconnect and laser align if necessary. Field Balancing: A proactive/preventive approach to longer life of rotating equipment through precision field balancing. We use the CSI Fast Bal II program; this program is a proven leader in the field-balancing world. With one reference and no more than two trial runs a solution is generated for a balance problem. 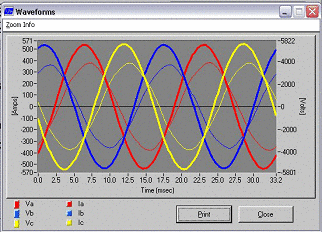 Current Signature Analysis: This is used to determine if a motor has broken rotor bars. To perform this test the motor needs to be at least 70% loaded, the closer to full load the better. This test is easily done and takes very little time. Equipment Cleaning: On occasion our customers prefer not to remove the motor or equipment and have it cleaned on site. We recommend that cleaning with dry ice (Cryogenic) is the best approach. Hibbs’ Field Service Team can come on-site and disconnect the motor, remove the end bells and rotor to allow for the stator to be Cryo cleaned. Hibbs will also clean the motors with vacuum cleaners, air hoses and chemicals. Below is a before and after example of Cryogenic cleaning our field service team completed. Infrared Thermography: Thermal imaging is one of the building blocks of any successful predictive maintenance program. Due to the fact that it does not require machinery shut down, or electrical systems shut down to collect data it is a very cost affective, non-contact method of detecting potential mechanical or electrical failures. Systems are viewed in real time making quick diagnosis of potential problems as well as timely repair possible. ODS (Operating Deflection Shapes): An operating deflection shapes study involves collecting cross-channel vibration data from multiple points on the machine or structure of interest with a roving sensor and a sensor at a fixed reference point. This data is carefully documented for location on the machine, orientation of the sensor, and polarity (positive or negative). This data is input into a graphical model of the machine and the results can be animated showing relative movement of the machine or structure. 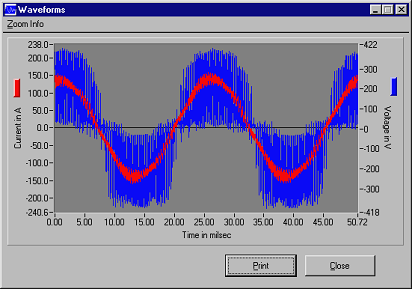 This can be used to determine if there are natural frequencies being excited during machine operation or can indicate looseness which is seen as movement consistent across the frequencies surveyed. Examples of ODS are in the videos below. See Engineering. Laser Alignment: A proactive/preventive approach to longer life from direct-coupled equipment. We use CSI’s Pro-Align Program with the 8225 dual laser heads. One advantage of our alignment program is we can make an alignment with as little as a ¼ turn of the shaft. Also if we find a problem where a piece of equipment is bound in one direction we can find all the alternatives with the push of a button, saving time over traditional methods. Offline & Online Electrical Testing: On-site condition testing is another proactive/preventative service Hibbs offers which provides data to identify potential issues prior to our customers being faced with costly downtime. Hibbs can establish the electrical condition of motors using Baker Instruments state of the art equipment. Critical information is gathered by testing winding resistance, polarization index, insulation resistance, surge testing, high potential testing, power condition testing, along with numerous other tests. We can set up routes to establish trend data over time. Talk to Hibbs today about planning a preventative maintenance testing program that ensures your equipment is running at peak performance. See Engineering.